His 13-year-old girlfriend apparently pretended she had killed herself in a shocking Facebook prank. 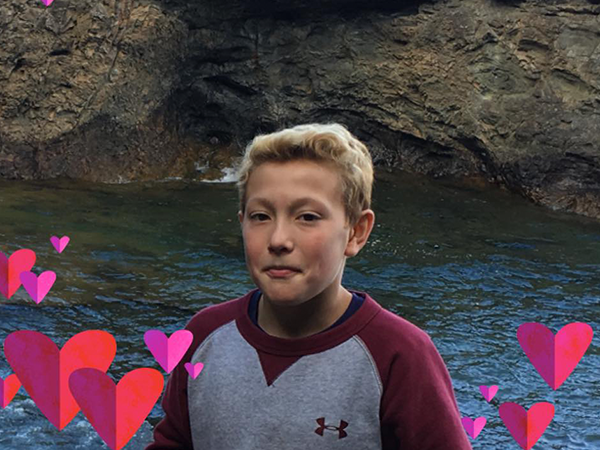 An 11-year-old died after he reportedly committed suicide after his 13-year-old girlfriend faked her death on Facebook. Tysen Benz had been on life support from the 14 March after he attempted to hang himself. He eventually succumbed to his injuries earlier this week in hospital. His mother has claimed that her son was involved with a 13-year-old girl who -- according to her -- is the reason her son took his own life. Tysen's mother Katrina Goss told Buzzfeed News that he was a happy-go-lucky child before he became involved with the teenager. "He was the happiest, most joyous child until he met her, she was mean to him, controlled him and took advantage of him," she said. "Even after I repeatedly told her to leave him alone." According to Katrina, the relationship between her son and the teenager started shortly after Tysen bought a phone without his mother's knowledge. She claims that she was totally against the relationship because of their age difference. Tysen's girlfriend -- whose name has been withheld because she is a minor -- allegedly faked her own death on social media, and used her friends' Facebook accounts to "confirm" her own death. “He believed her and said, ‘I’m going to kill myself,’” his mother reportedly said. The grieving mother wrote on Tysen's GoFundme page, set up to raise money for his medical costs, "I want Tysen to be remembered as he was and all the joy he's brought to everyone. Keep his spirit alive by standing strong & fighting against social media bullying!!"